Quick summary: Students will complete a NAPLAN-style test practice paper. 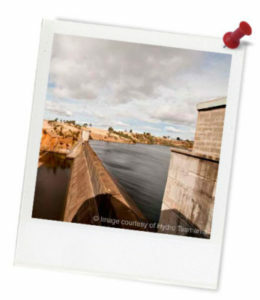 The topic of the text set for study is Hydro Tasmania’s Sustainability Code. 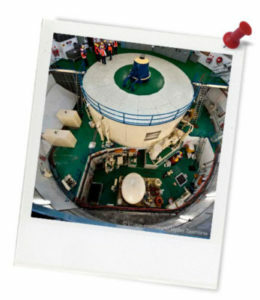 Students will identify the key facts in the article about Hydro Tasmania’s operations and infer meaning from their reading to answer analysis questions and complete activities that test their skills in using language conventions. Learning goals: This lesson is designed to provide valuable practice for NAPLAN*, the national literacy test held in Years 7 and 9. It features reading and visual texts with comprehension and language questions that require students to find facts, interpret meaning and apply text-processing strategies. Cross-curriculum priority: Sustainability OI.7, OI.8. Understand that authors innovate with text structures and language for specific purposes and effects (ACELA1553). Identify how vocabulary choices contribute to specificity, abstraction and stylistic effectiveness (ACELA1561). Interpret, analyse and evaluate how different perspectives of issue, event, situation, individuals or groups are constructed to serve specific purposes in texts (ACELY1742). Topic: NAPLAN Preparation, Hydro Tasmania, Energy. Resources required: One double-sided printed copy of the NAPLAN-style Practice Test for each student, one double-sided printed copy of Hydro Tasmania Sustainability Code 2013 for each student. Keywords: NAPLAN preparation, renewable energy, energy resources, water, hydroelectricity, Hydro Tasmania. * This lesson plan is not an officially endorsed publication of NAPLAN’s creators and administrators – the ACARA body – but is designed to provide practice for the Australian Curriculum’s compulsory NAPLAN testing scheme. 14.76% of Australia's electricity came from renewable sources in 2013: enough to power the equivalent of almost 5 million homes. Wind turbines provided enough energy to power 1.3 million homes. 3.1 million Australians lived or worked at a property with solar panels at the end of 2013.